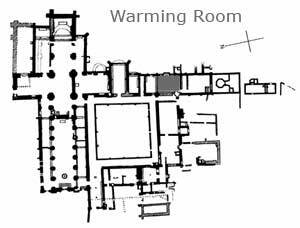 Going south from the Chapter House and the Parlour, was the Warming Room. This had a large fireplace – monastic fireplaces tend to be restricted to kitchens, the infirmary, guesthouses and the Prior’s Lodging. 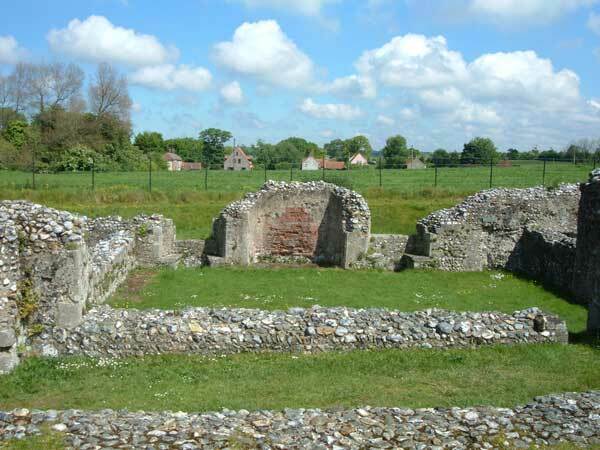 The Church itself was unheated and in winter months, particularly at night, monks would have been very chilled and cold, and it was an absolute necessity for them to be able to warm up again if they were not going to get hypothermia or pneumonia. The cloisters were also unheated, so monks would spend some time in the Warming House at regular intervals during the day as well as between services; but it was not the parlour, and strict silence was expected of those who used it.